The Altar Guild is a team of volunteers who prepare the Communion meal, care for the candles, and dress the altar for every worship service. 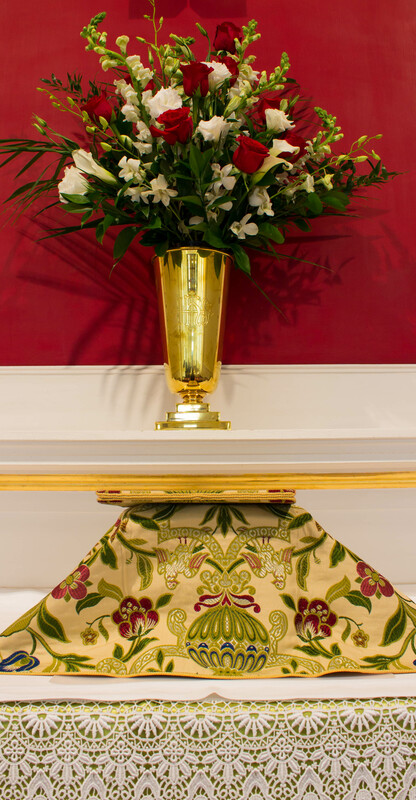 Duties include setting out the wine, juice and wafers for Communion; topping off the liquid-filled candles; changing the altar linens as needed by liturgical season; and cleaning up the Communion meal after worship. Volunteer assignments are usually for a month at a time for 2 people. 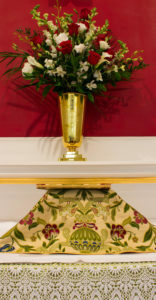 In addition to weekly worship tasks, the Altar Guild decorates the church at Christmas and Easter with help from other congregation members. Holiday decorating is a fun and festive activity. The Altar Guild is always looking for new volunteers. Altar Guild is a rewarding role with complete instructions and training provided to those interested helping in this essential worship function. Arlene Cegelis and Nancy Gorton are the co-chairs of the Altar Guild. Please contact them through the church office (emmanuel@norwoodlight.com) if you are interested in joining this team.